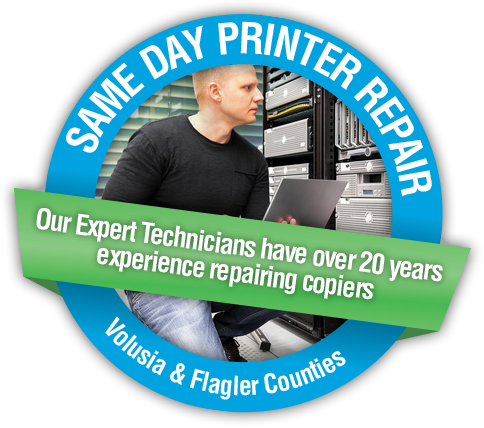 Geoda Systems Inc. is a Copier and Printer Repair & Sales company locally owned and operated in Volusia County. We are headquartered in Daytona Beach, Florida. Geoda Systems specializes in Selling and Repairing New and Used copiers and printers. We can service and repair all of the major brands including: Konica Minolta, Muratec, Bizhub, Canon, HP, Duplo, KIP and others. We’re happy to announce we recently became a Certified MuraTec Dealer. 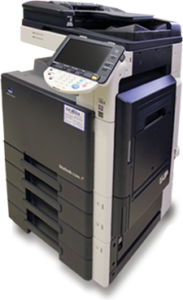 We also sell new Konica Minolta Printers and Copiers. In operation since 1995. We have been servicing Daytona Beach business community’s copier and printer needs for over 21 years. If you need a copier, printer or scanner for your business, come by our showroom to see our large selection of new & refurbished copiers and printers. And speaking of cost, if you are currently using an inkjet at your office, let us show you how much money we can save you by switching to an affordable laser all-in-one printer/copier. We may be able to save you hundreds of dollars a year just in the cost of ink. Aside from that, you can save money by buying a copier or printer that will last longer and print more efficiently. Several of our customers have come to us frustrated because they had one or more inkjet copier-printer-scanner-fax machines. The problem with these types of machines is they require a lot of expensive ink. In several of these cases, we were able to save the business several thousand dollars a year by swiching them to a laser printer/copier. As a result, their copier paid for itself within the first 12 months.